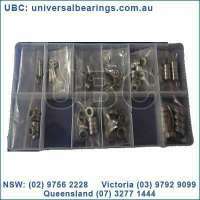 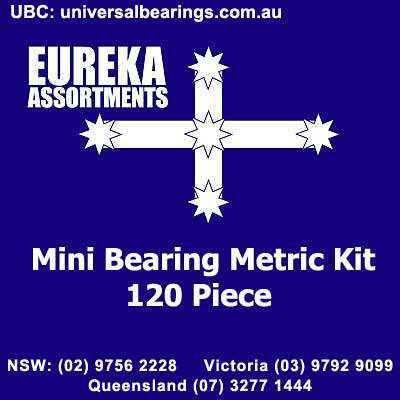 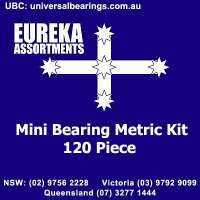 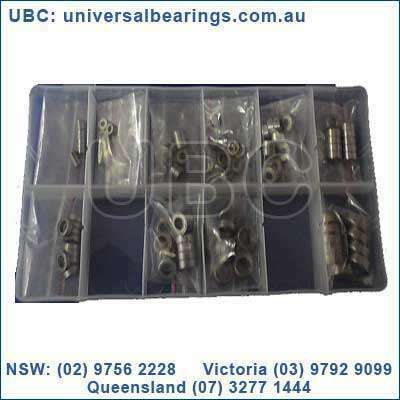 Mini bearing metric kit 120 piece. Ideal for compact, high-performance designs, miniature ball bearings operate at high speeds with low friction and minimal service requirements. 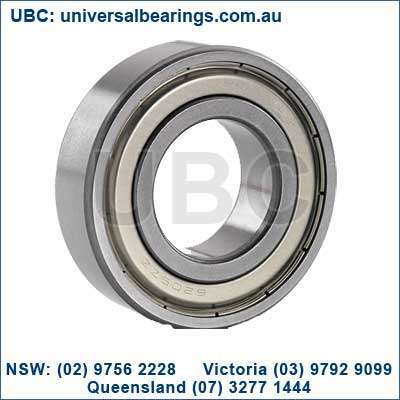 Robust and capable of handling light to moderate radial and thrust loads, these quiet-running bearings are supplied in a wide range of types and designs. 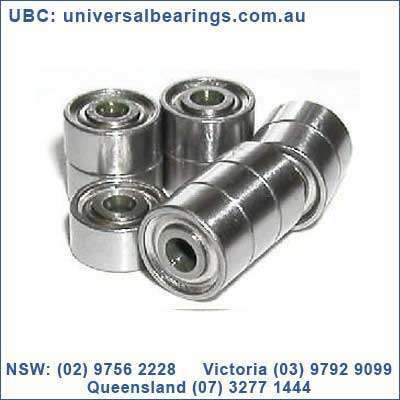 The metric series miniature bearings are single row ball bearings available from 1 mm to 10-mm bore sizes. 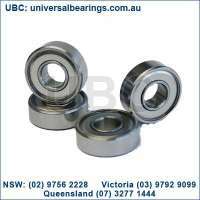 The construction of these bearings enable them to carry moderate radial and thrust loads at low operating torque and provide high performance. The metric series ball bearings are available in stainless steel and chrome steel and come in open sealed and shielded configurations. 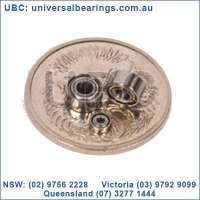 Miniature Ball bearings are machinery components, which comprise an outer ring, inner ring, balls, retainers, shields and snap rings. 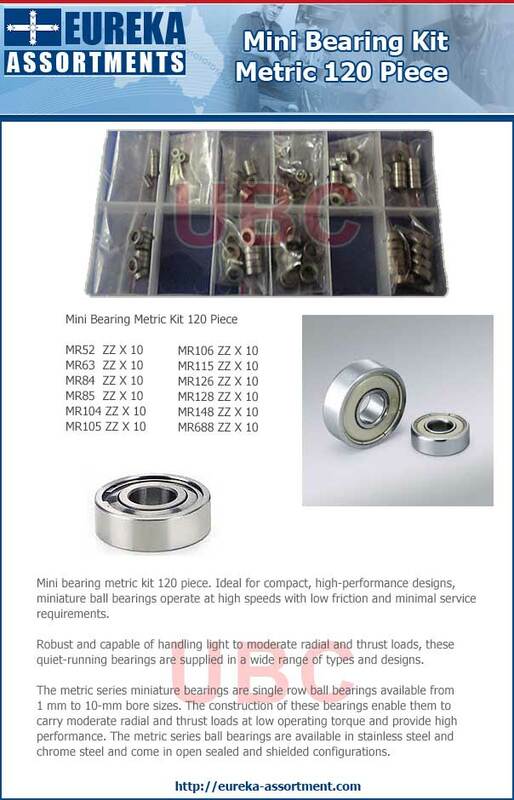 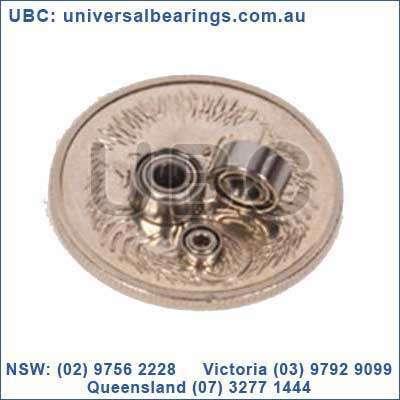 Miniature and small-sized ball bearing mean ball bearing, up to 30mm in external diameter. 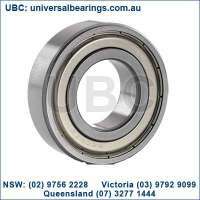 Essential to high-precision rotary components, ball bearings determine rotational accuracy.